The European flounder is known by several other names. For example, it is known by its Latin name, which is Platichthys flesus, and by the name white fluke. 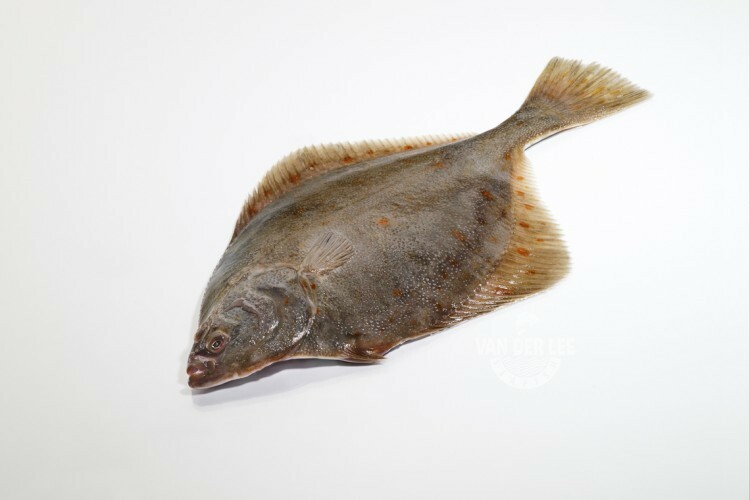 The European flounder can be found in European coastal waters as well as the north eastern Atlantic Ocean, which is also known as FAO fishing area 27. We catch our European flounder primarily in the North Sea, but we also have whole flounder available which is caught in the Baltic Sea. The reason for this is that there is not much flounder left in the North Sea. We catch most of the times our European flounder by our own Dutch fishing fleets, but sometimes it is also caught by fisheries in Poland. After the fish is caught we only take the best ones and process and freeze them immediately to keep their freshness. As a supplier we sell our whole flounder head on, gutted and whole round. We also have flounder fillets available at our ‘North Sea Fish’-page and crispy flounder fillets at our ‘Added Value’-page. The flounder can be recognized by its reddish spots and brown blotches. However, the flounder is an expert at camouflage since it can change its colour to suit its background. The flesh of the whole flounder tastes quite mild and its texture is flaky. This is the case with most whitefish. One hundred grams of whole flounder contain around 94 calories, which depends on the way in which you prepare them. They also contain some vitamins, including the vitamins A, B11 and B12. Whole flounder contains a lot of iron and protein too. We export some of our whole flounder to the countries Poland, Israel and Denmark. The rest goes to institutes in the Netherlands. Whole flounder is a fish which is quite popular in Eastern-European countries. One of the reasons for its popularity in those countries is that the fish is caught in the Baltic Sea and the Black Sea. There are various ways to prepare whole flounder. The fish can be by roasted, steamed, broiled, grilled and baked. Some people like to serve whole flounder with a sweet and sour sauce. However, it can also be served with lemon wedges to add more flavour.